Marketed and distributed in 2001 by Disky Communications Europe B.V.
Re-cover design: Ocheda Grafische Creaties, Heerhugowaard, The Netherlands. 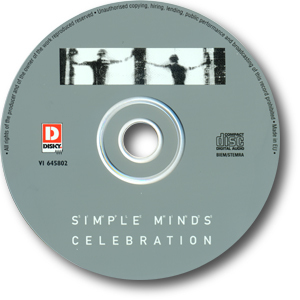 This reissue by Disky smartened up the original sloppy CD release by Virgin: it used the same front cover design but created a better booklet, put together smart new graphic inlays for the transparent CD tray and back cover, and finished off the package with a picture CD featuring the album cover. A large number were produced so copies are still easy to find.